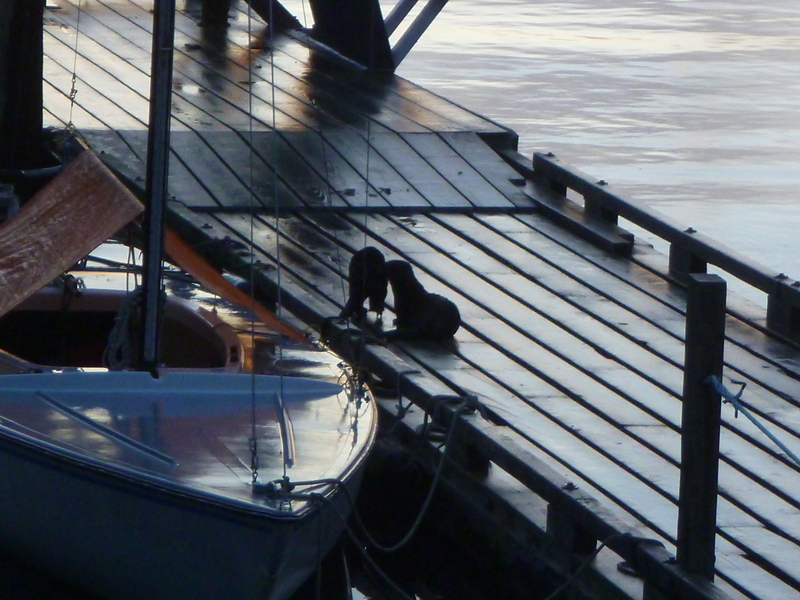 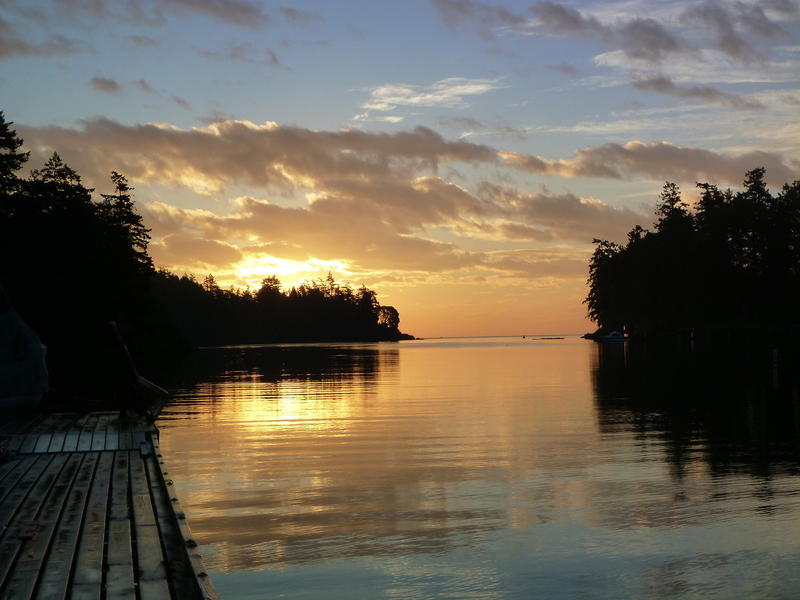 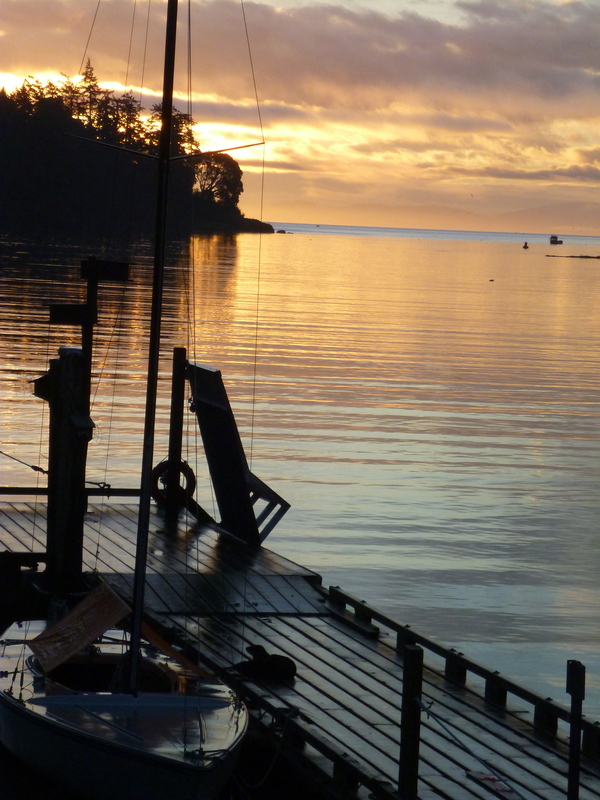 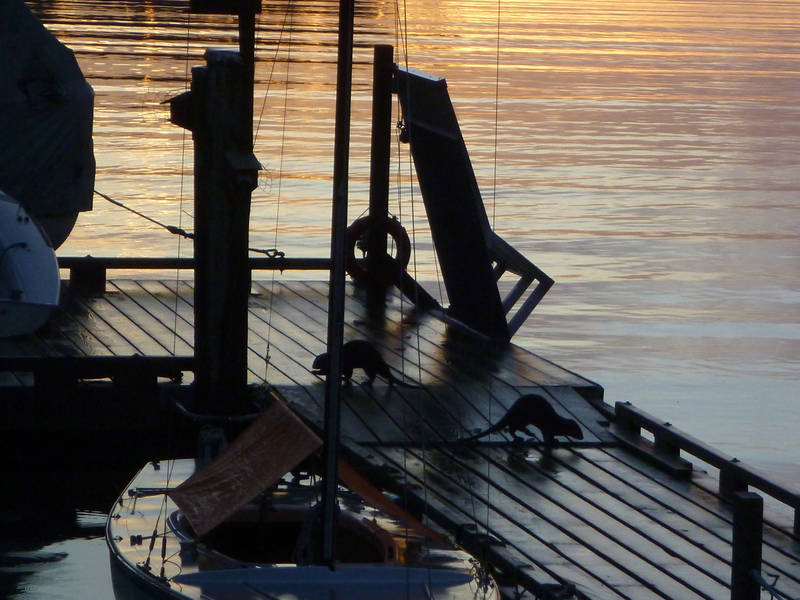 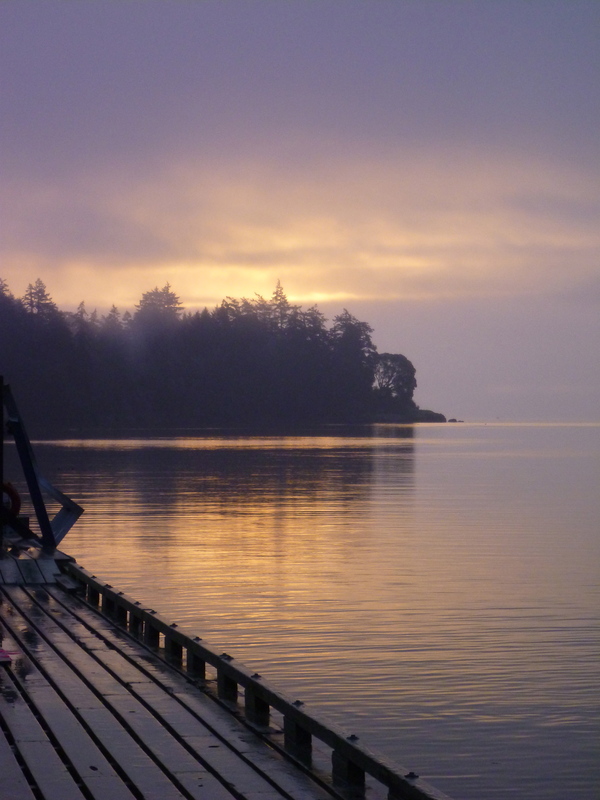 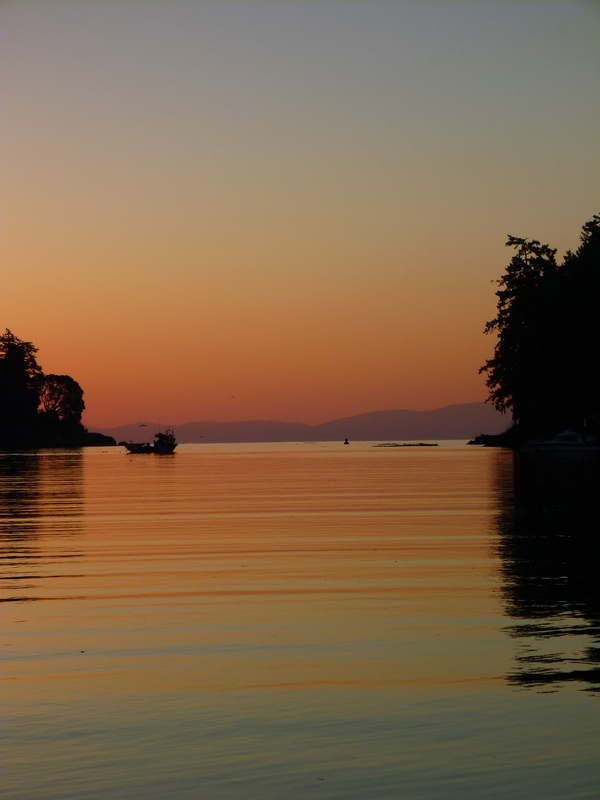 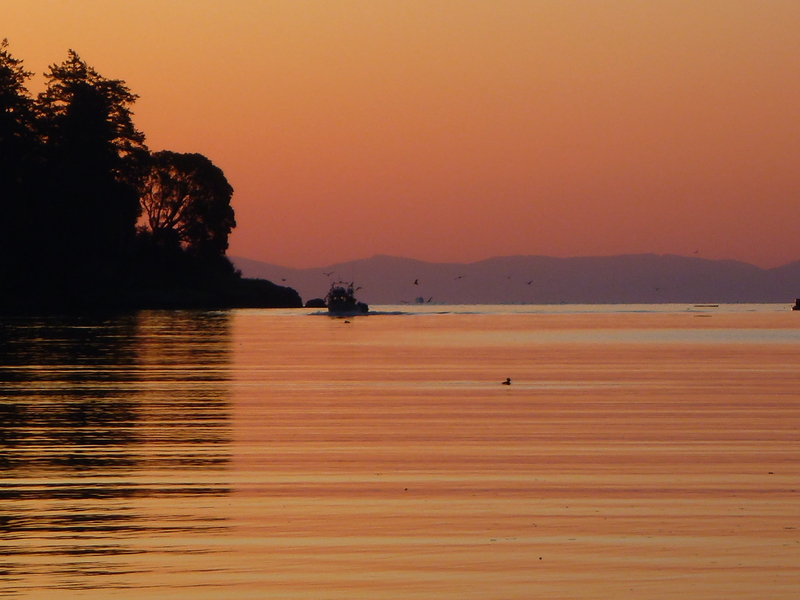 Another stunning sunrise – this time with three river otters playing on the Pearson College dock. 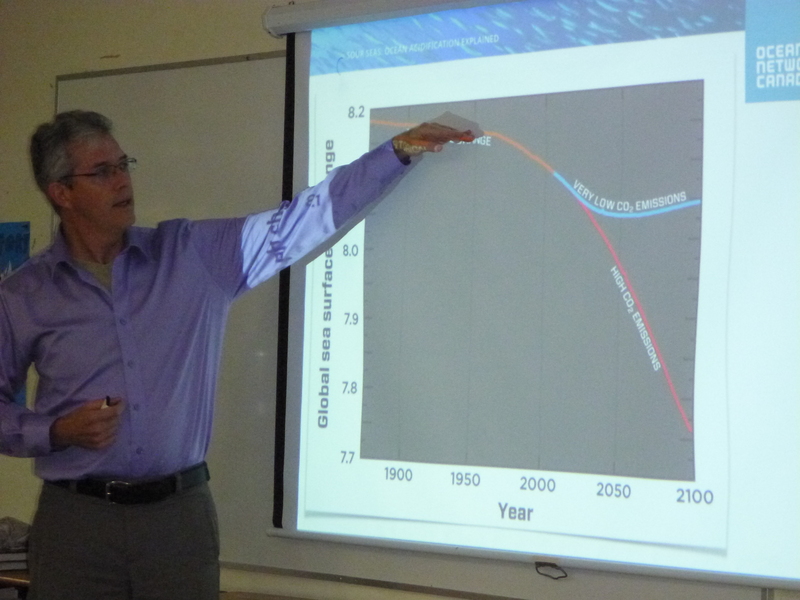 On Friday 21 November, Dwight Owens (also known at Pearson College as ‘Tessa’s dad’) came from Ocean Networks Canada (ONC) to tell first year Marine Science students about the significant problem of ocean acidification. 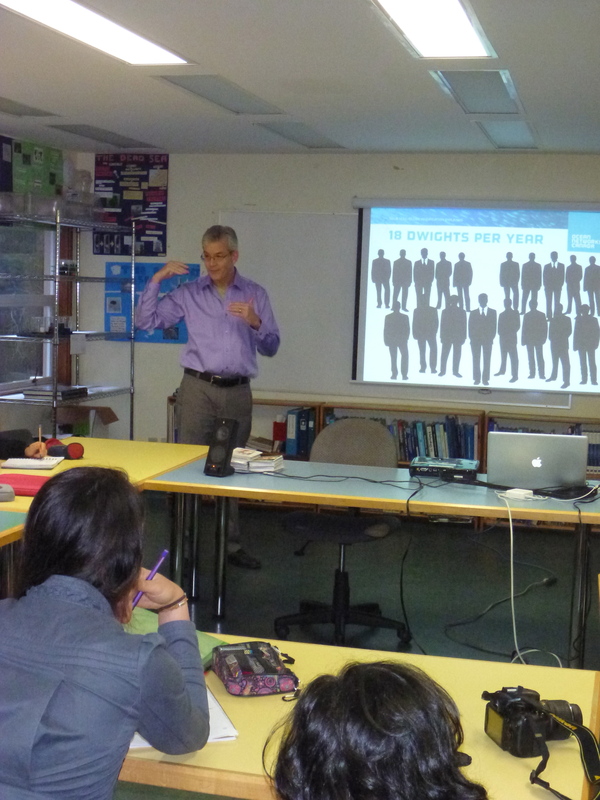 It was a wonderful presentation full of depressing facts and inspiring possibilities. 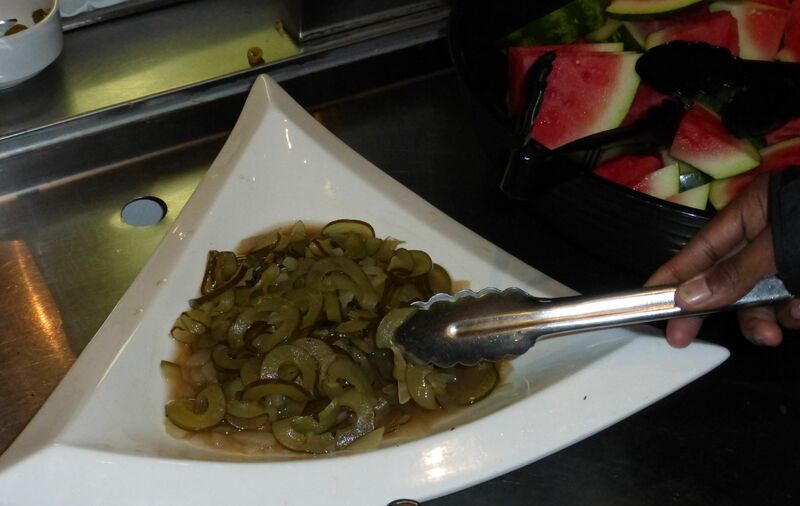 Thanks very much Dwight!! 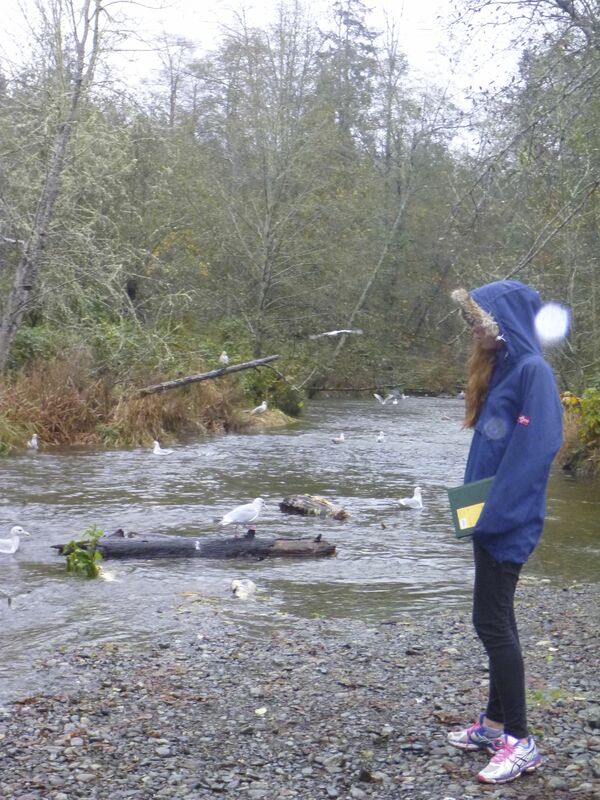 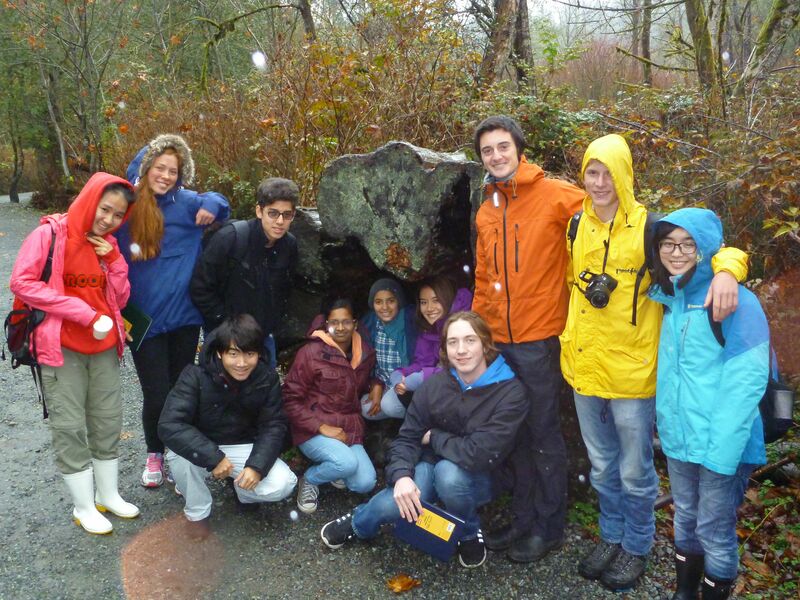 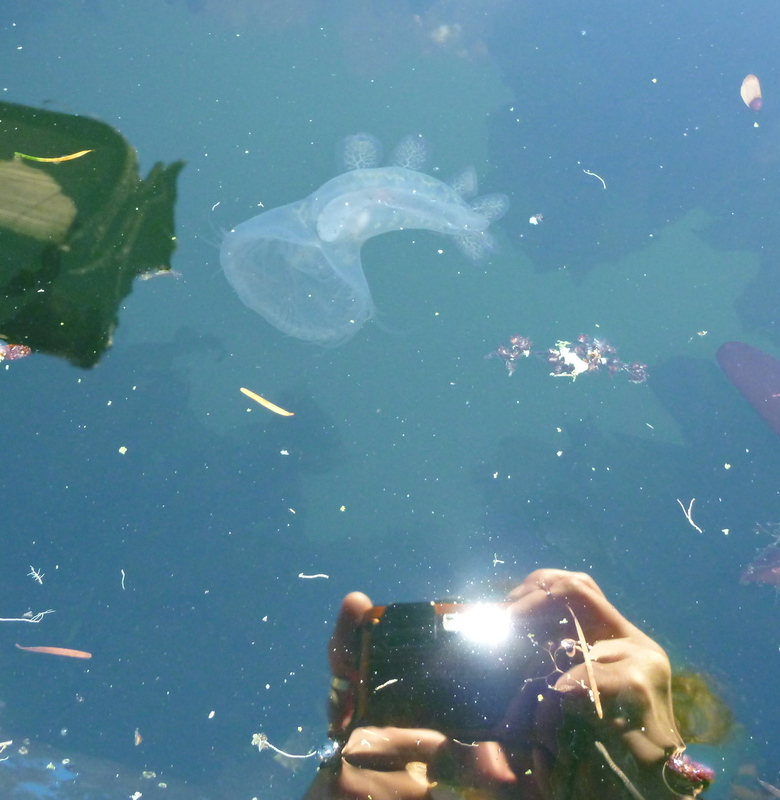 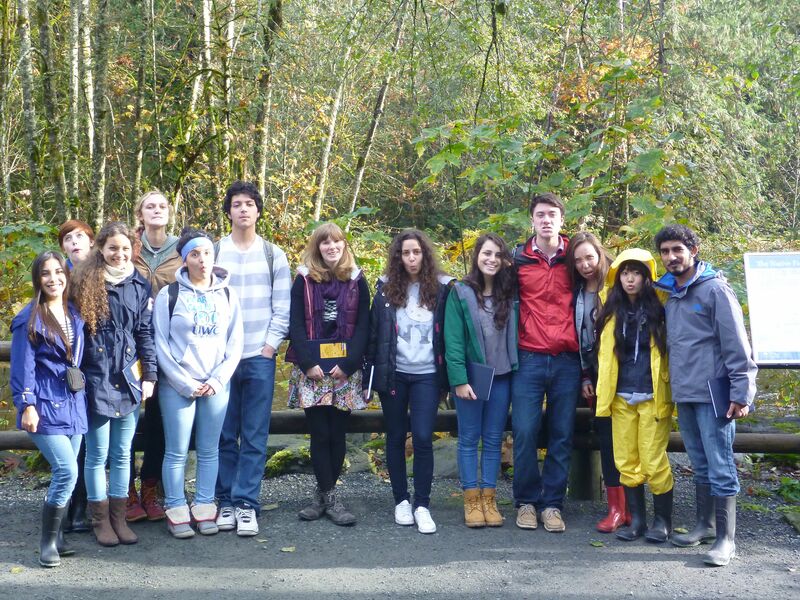 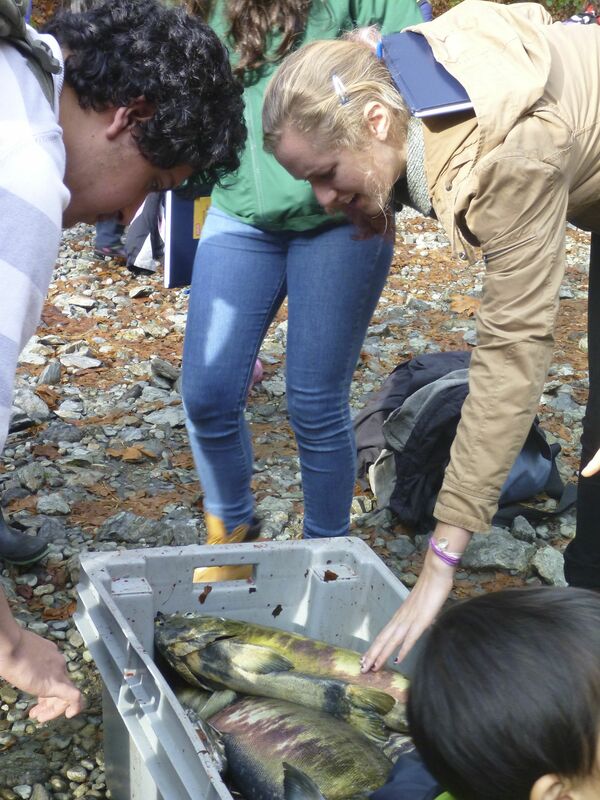 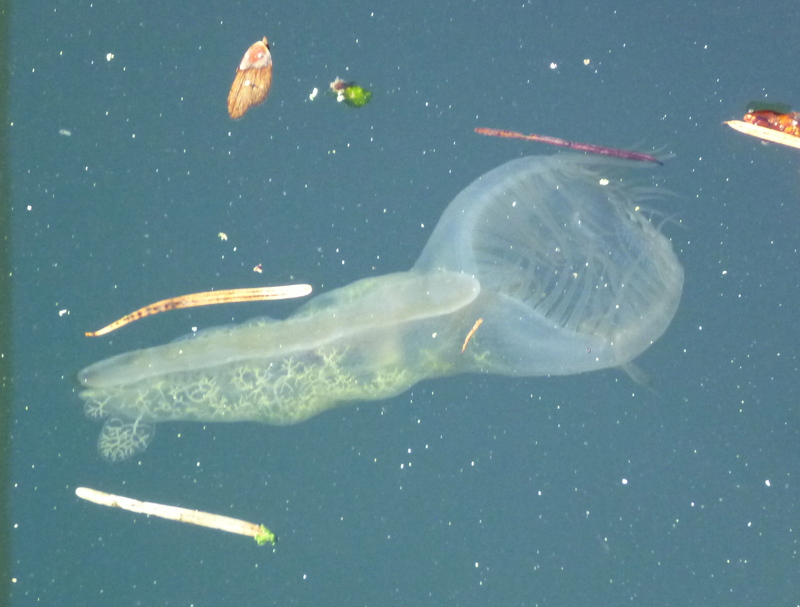 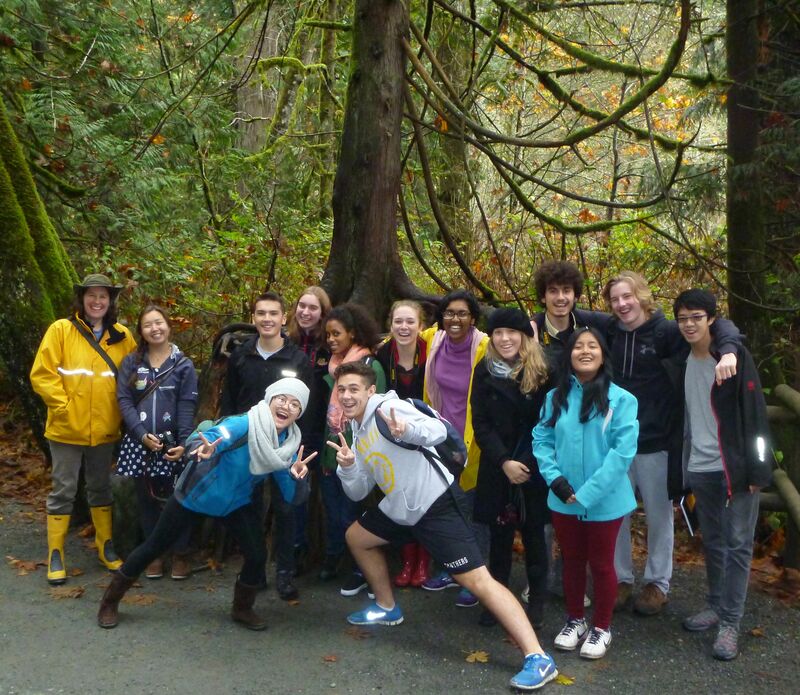 It was time for the annual migration of Pearson College Marine Science students to Goldstream again – the 3 first year classes went on Monday 3 November, Tuesday 4 November and Wednesday 5 November. 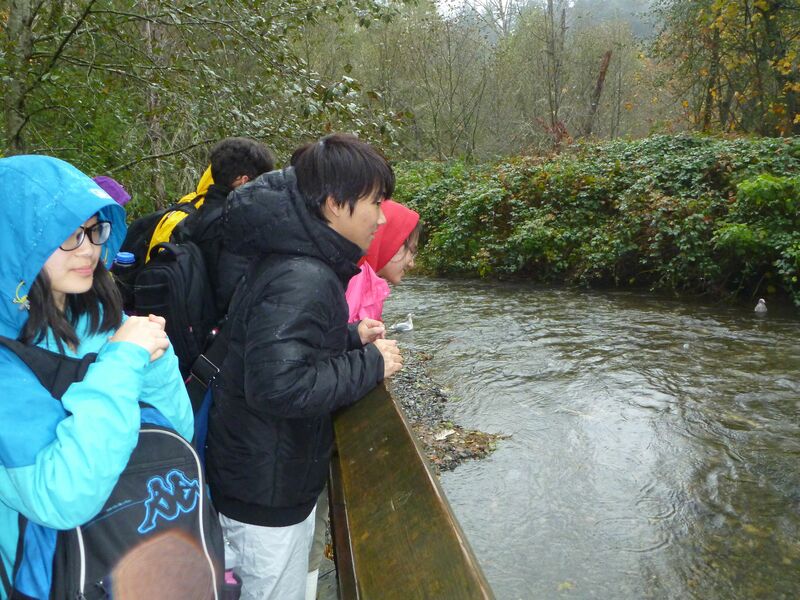 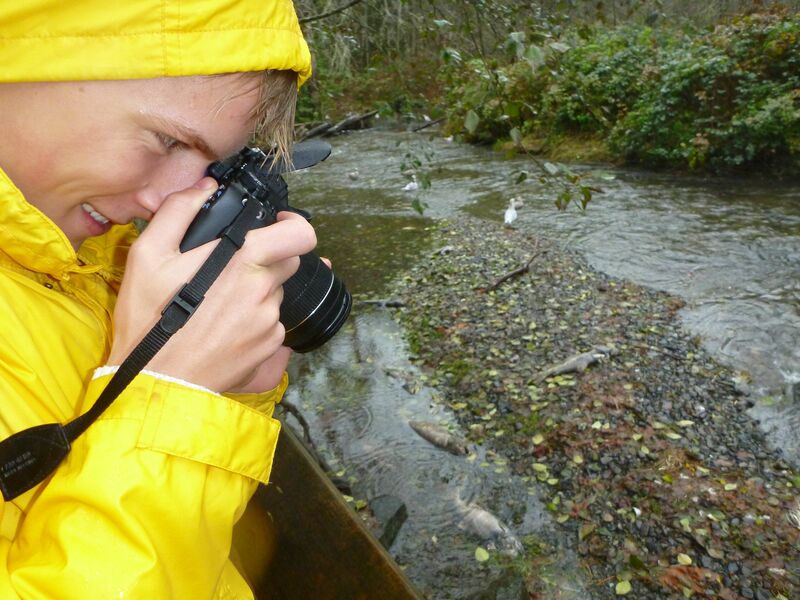 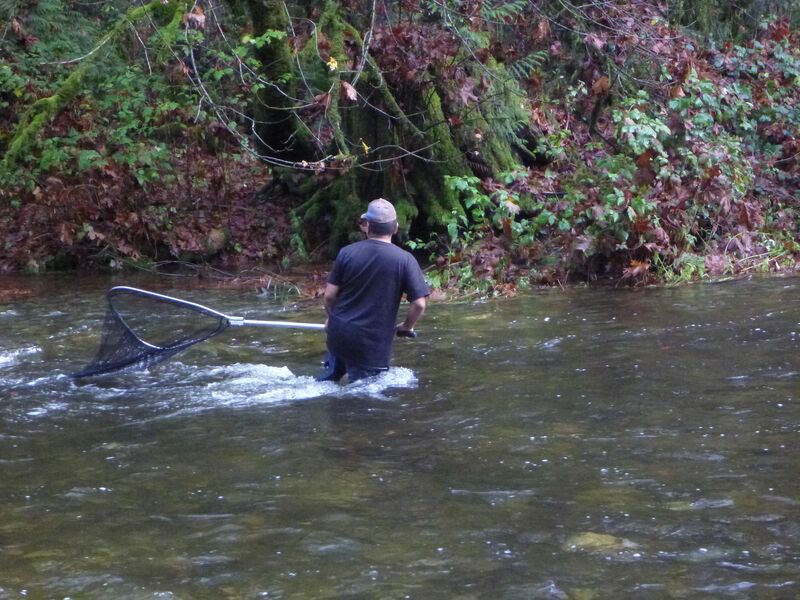 We went to observe the chum salmon (Oncorhynchus keta) spawning in the Goldstream River. 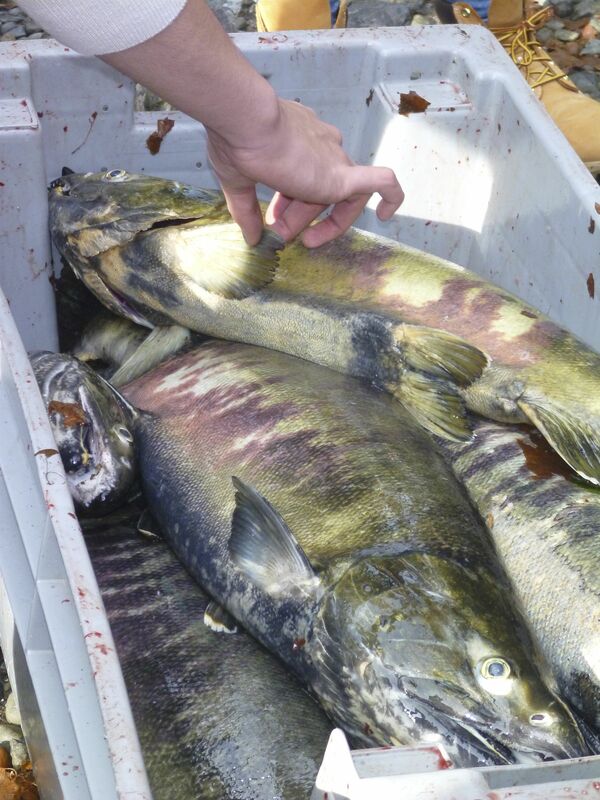 On Tuesday we watched a young aboriginal man scoop newly arrived chum salmon out of the river and pile them into a big grey bin. 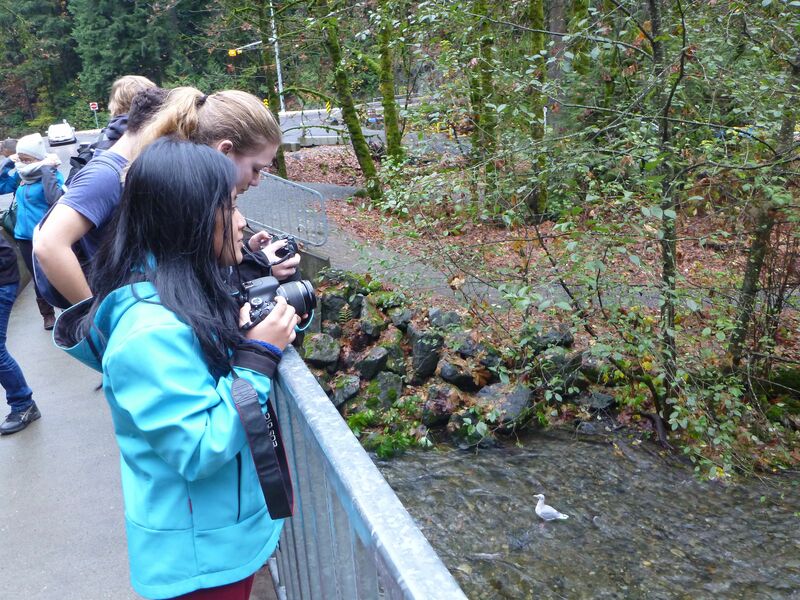 My second year Biology students were so keen to see the spawning salmon that I also took them to Goldstream on Friday 14 November, when there were many more dead salmon. 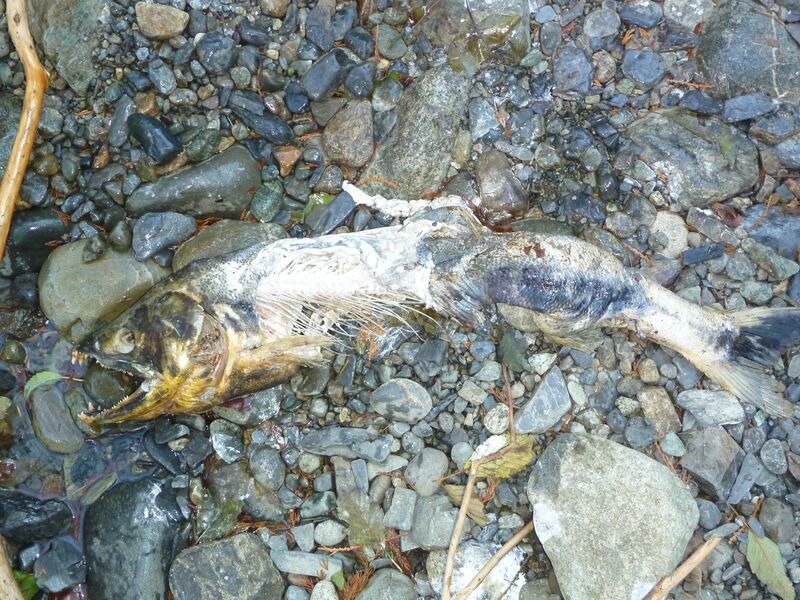 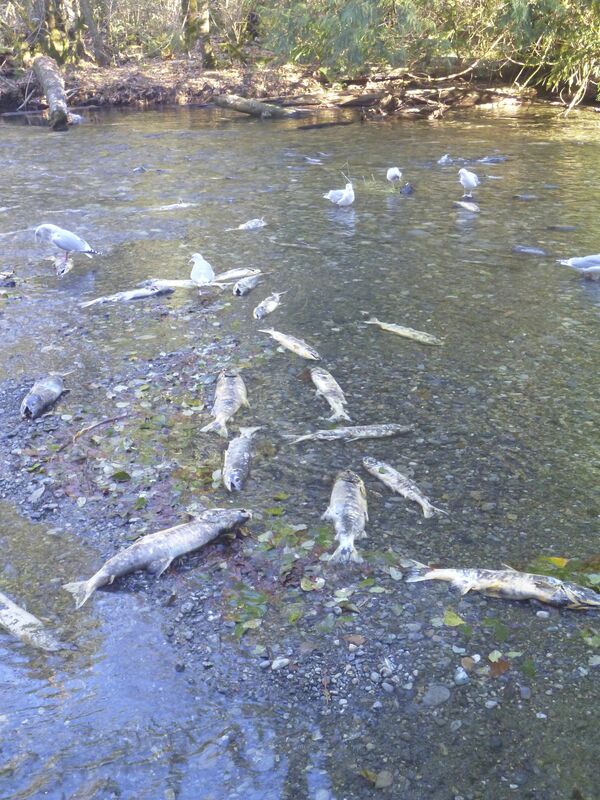 Sorry to say that I only have photos of the dead salmon, not of the Biology class! 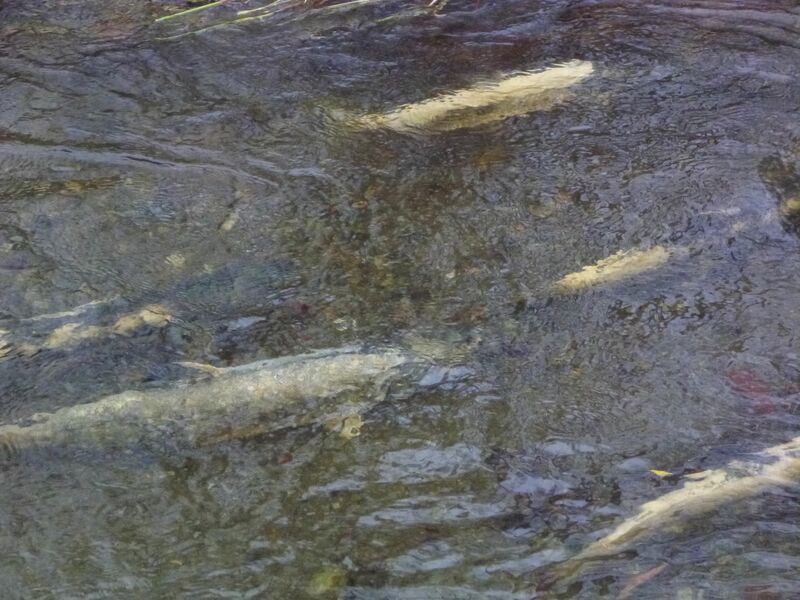 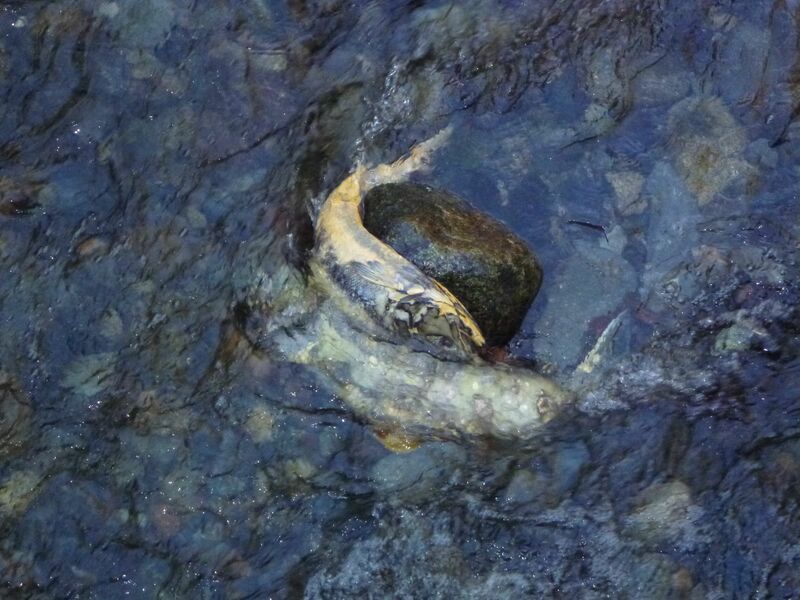 Salmon watchers are particularly interested in this cohort of chum salmon as many of them would have been hatching from their eggs in April 2011 when there was a significant fuel spill into the Goldstream River.